“Adapting a visual language of grotesque and satire, Barelkowski effectively confronts the rationalism of historical perspective with the absurdity of political powers that repeatedly throws humanity into the haunting dance macabre of war and annihilation. Although, deriving from specific historical events, Barelkowski’s works convey a universal message, uncomfortably actual when applied to contemporary history”. 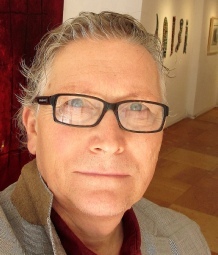 Peter A. Barelkowski started experimenting in painting in the 70’s and in 1975 he established his first studio. His art education began with an MA from the University of Poznan and continued at Goldsmith College (Poznan, Poland), Ontario College of Art in Toronto (1985 – 1988) and less formally - in London, England ( Camden Arts Centre ) and Norway, where he was street performing for tourists during the late 70's. His work has been about human conditions like isolation and alienation. Creating a paradox between his joyful colours and darker subject matter, his paintings attempt to play with our ideas around sadness. 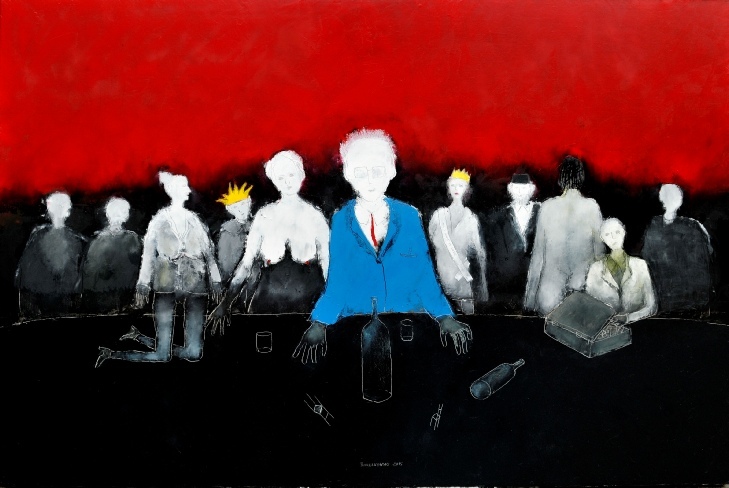 As a form of subtle escapism, the figures in his paintings are depicted in a one dimensional, cartoonish style - with almost grotesque undertones. His paintings are in private collections in Europe, USA ,Canada and Asia. His studio is currently located in Toronto, Ontario (Canada).